Our Women's Optiweave Skirts is made from our new fabric a stretch blend of 63% polyester, 35% wool gabardine, 2% Lycra™ with a unique cross-weave surface texture. 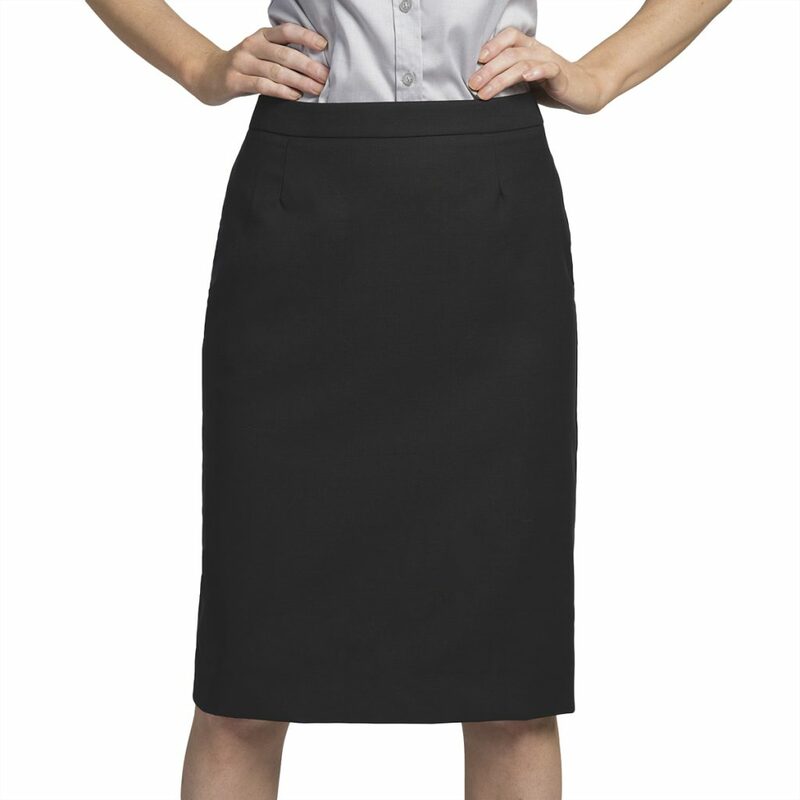 The Optiweave Collection is perfect for upscale uniform programs in classic black, charcoal and navy. It features a contour waistband, a modified rise, back zip with button closure, 23″ length, a back zipper, back walking slit and a polysatin lining. Available in Navy, Black and Charcoal.